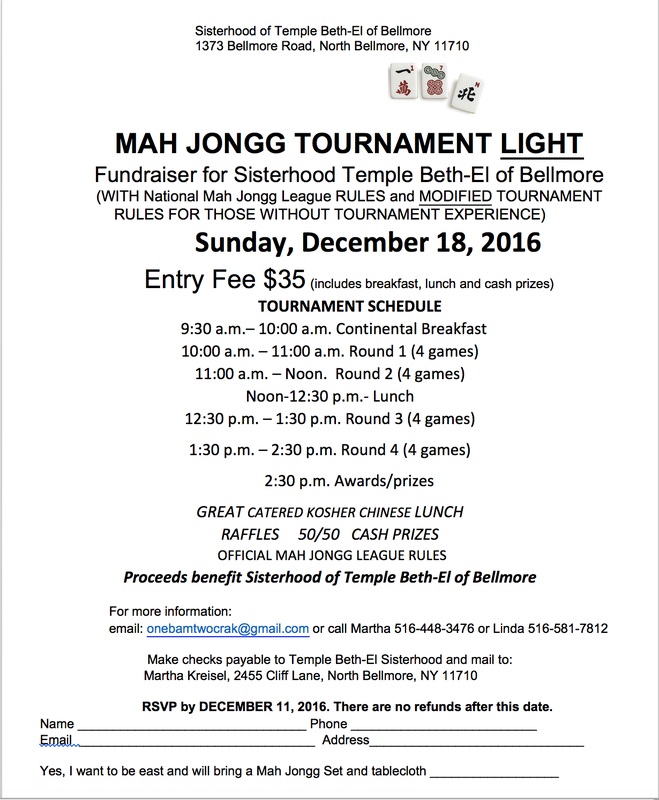 While I am off in California I wanted to remind those of you back in New York that Temple Beth-El in Bellmore is holding their second “Mah Jongg Tournament Light,” especially designed for Mah Jongg players who have never participated in tournaments. This is a great opportunity for those of you who want to test the water with tournaments to see if they might be for you (I’m sure they are!). 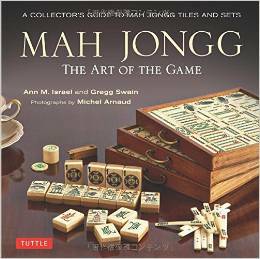 This entry was posted in Mah Jongg and Me and tagged Bellmore, mah jongg, mahjong, new york, Temple Beth-El, tournaments on December 9, 2016 by Mah Jongg and Me. Tomorrow I will be signing my book at this Bellmore, NY tournament where both breakfast and lunch are included. There is still time to sign up and I hope to see you there! 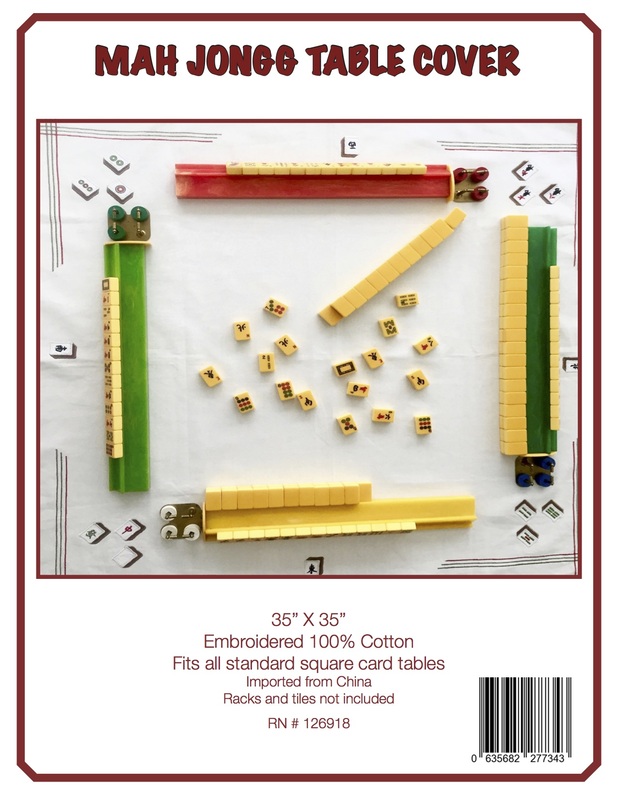 This entry was posted in Mah Jongg and Me and tagged Bellmore, mah jongg, Mah Jongg: The Art of the Game, NY, Temple Beth-El, tournament on December 27, 2014 by Mah Jongg and Me. There are still spots available at a fun tournament at Temple Beth-El in Bellmore, New York (central Nassau) coming up on Sunday, December 28th. Breakfast is served at 9 AM followed by tournament play beginning promptly at 9:30 AM; a Kosher Chinese buffet lunch will be served. There will be raffles and cash prizes with first place at $160. FYI, there is a ramp for accessibility. Required reservations can be made via onebamtwocrak@gmail.com with payment at the door. For registration and further tournament information for Sunday, December 28th, please email Linda or Martha at onebamtwocrak@gmail.com or on the website at www.onebamtwocrak.com. This entry was posted in Mah Jongg and Me and tagged Bellmore, mah jongg, Nassau, onebamtwocrak.com, Temple Beth-El on December 20, 2014 by Mah Jongg and Me. 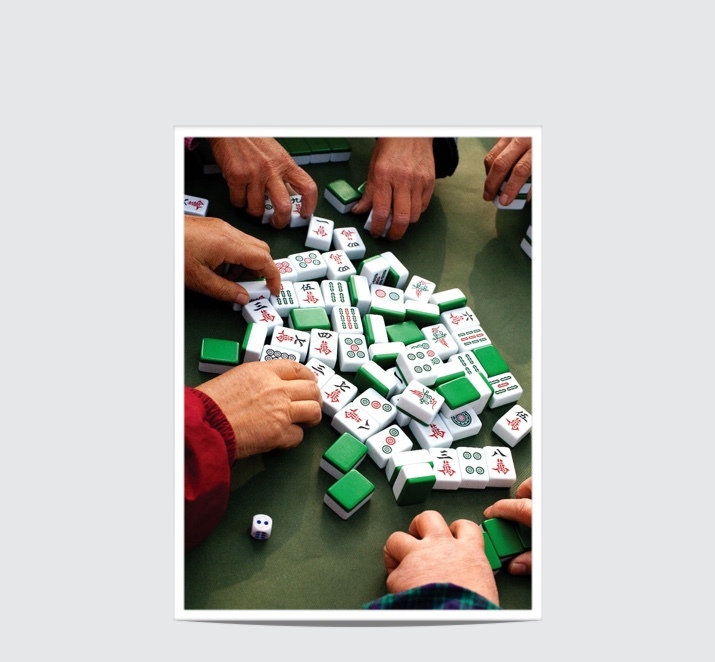 Our mission is to change the world for the better through Mah Jongg, one player at a time. This entry was posted in Mah Jongg and Me and tagged mah jongg, North Bellmore, onebamtwocrak.com, Temple Beth-El, tournament on September 15, 2014 by Mah Jongg and Me. 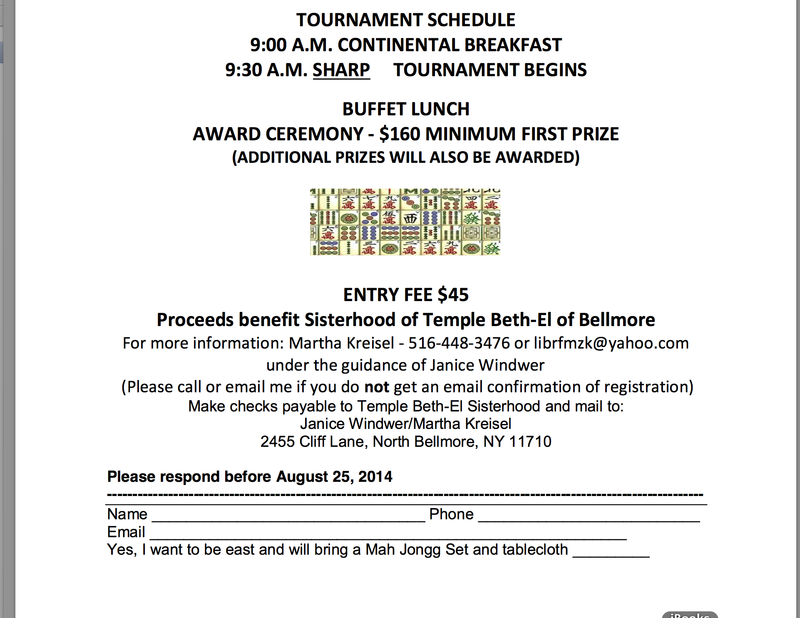 Much thanks to reader Linda Shumsey who sent this announcement about an upcoming tournament on Long Island. 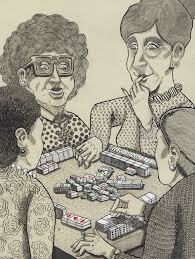 Let me know about any other Mah Jongg tournaments going on and please be sure to send photos of the event! This entry was posted in Mah Jongg and Me and tagged mah jongg, North Bellmore, NY, Temple Beth-El, tournament on August 11, 2014 by Mah Jongg and Me.